One year ago, during Mardi Gras, Ash Turner was pulled from the arms of his lover, Jamie Derouen, by men working for her father. 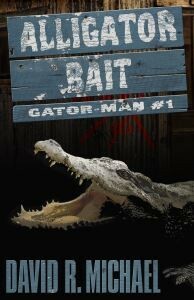 Those men drove Ash into the bayou, shot him in the back of the head, and left his corpse for the alligators. So it comes as a surprise to everyone–including Ash–when he wakes up in the muddy water of the bayou and walks back into New Orleans. Mardi Gras is once again underway, but Ash isn’t there for the parades or the parties. He’s looking for Jamie. Nothing else seems important any more. At the same time, though, there are forces looking for him. A police detective interested in a growing pile of missing persons cases. The men who thought they had killed Ash already. And something else. Something unseen that watches Ash from the swamp.